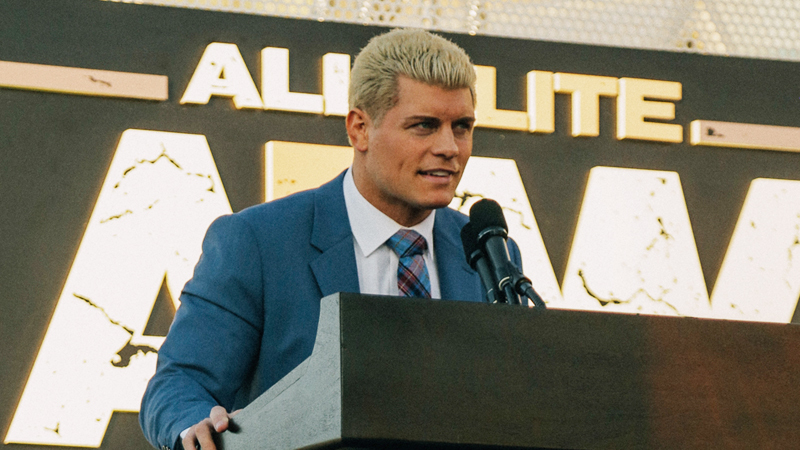 Cody Rhodes was one of the guests on this week’s episode of the Jim Ross Report ahead of tonight’s All Elite Wrestling ticket announcement party in Las Vegas. “Right now I have the building—MGM Grand Garden Arena—we scaled it for 11,600. That’s with, and some folks might know, that’s with if some seats come available because we thought we had a camera there, we kill that camera there, that might open up a few hundred seats. I can strongly estimate that we’re aiming to hit that 11,600, we want to be honest about our tickets from day one because it really easy for people this day and age to look it up, or just talk to the fire marshal. “We’re looking for ‘fresh’ more than the equity-garnered individual that’s perhaps popped around various television shows already. We’re looking for someone that hasn’t been seen, that’s the directive. Of course there’s folks like a Chris Jericho, who is an absolute star, wrestling’s frickin’ rock star, and he’s done it all and seen it all. I want to have the juxtaposition to have somebody on that level seen with somebody that our audience may be seeing for the very first time ever. I’ll use Jimmy Havoc as an example—not that he’s not well-known—but perhaps he’s not universally known. That’s what we want to sell, that’s the message that we want to bring forward. I don’t want to say the ‘next generation’, it’s more this generation, disruptive, independent brands, and you’re seeing a pop-up all around. Jimmy Havoc as of yesterday, tomorrow at the ticket on-sale party, we want to give them more than ‘hey, here’s just the details on where you can buy tickets.’ There’s a few talent signings that we’ll be able to throw out there, I think they’re really going to mobilize folks and generate some excitement.